Lets face it, true style never goes out of fashion. 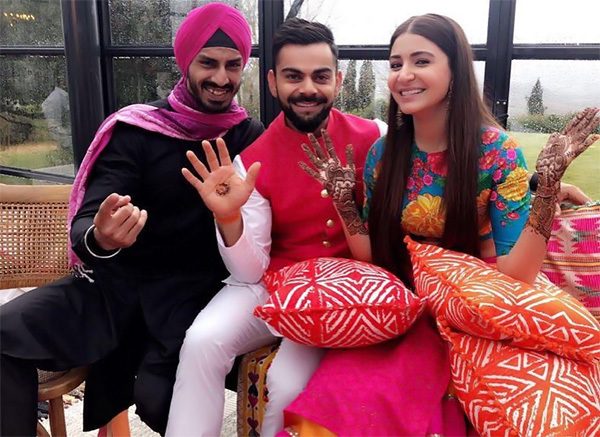 And if you’re looking for Indian wedding style tips, then look no further than THE wedding from last year – Anushka Sharma and Virat Kohli’s wedding in Italy. Some may say that this is dated, but I think that the tips from the wedding are timeless and will serve us well in 2018 and 2019. 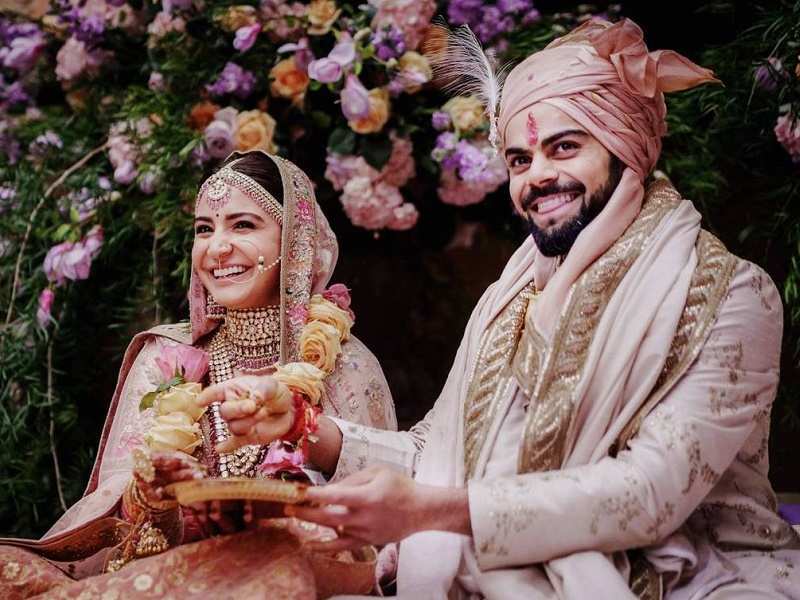 We have seen a lot of pastels both on real life brides as well as on celebrities over the last few seasons, but Virushka emphatically stated that pastels are here to stay. And may I say, the matching pastels are just to die to. I love the co-ordinated colour tones of the bride and groom. To own your reception look, you cannot go wrong with a vibrant coloured saree made from traditional Indian weaves. 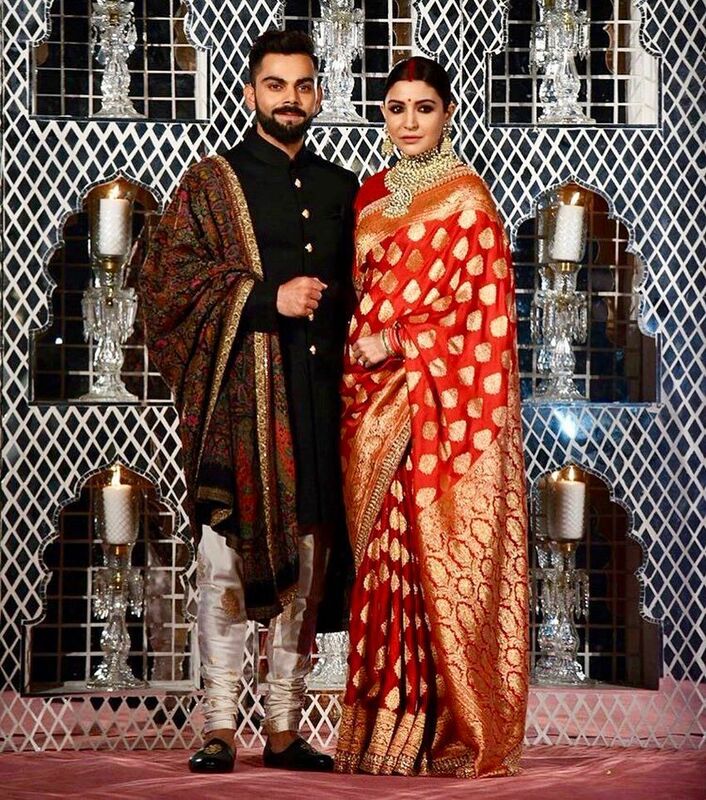 Anushka wore a beautiful banarsi silk saree for her Delhi reception. She looks stunning of course not just because she is, but also because she absolutely owned the banarsi saree. Almost goes without saying, but traditional rules the roost when it comes to weddings. We have recently seen brides opting for contemporary styles that are delicate and demure. These are great, but for a complete WOW factor like the one Anushka manages, you need to stick to the basics and go for traditional styles. Take it a notch higher with a maang tikka and a haath phool like the one Anushka is seen sporting. Anushka wears a chunky choker necklace made from un-cut diamonds, and i like this style because it works with so many different looks and clothing types. The wedding styles do get chunky and quite full on, so perhaps get your necklace made into a smaller size after the wedding, so that you can wear even with your contemporary clothes. See what they did here? Beautiful colours and perfect contrast to each other’s outfits makes for the perfect Insta pic. 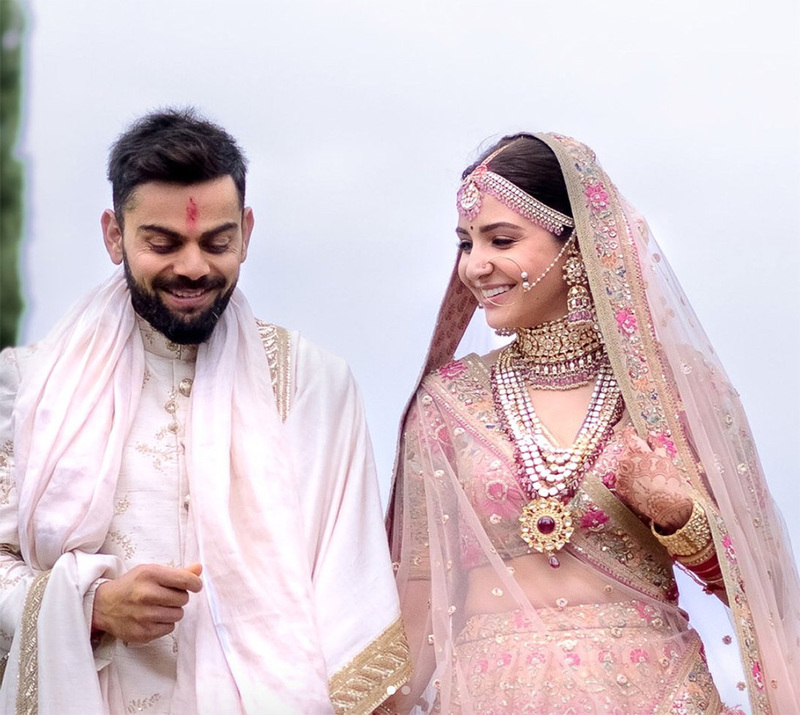 I like this picture especially because Anushka keeps her make-up very natural, keeps her outfit colours bold and has perfectly contrasted it to Virat’s jacket. Love the colours as well – they complement the skin tones perfectly. Picking the right colours can be tricky, especially for couples. Take the time to think about the colours that complement your skin tone the best and then think about how best to match the colours that both of you will wear – instant insta fame awaits, not to mention loads of compliments from friends and family!